A decade known for neon, cassette tapes and hair scrunchies, the 1990s were filled with special memories. Pass the spirit of this magical decade on to your little boy or girl by choosing a name that was popular during this time period. Using data from the Social Security Administration, MooseRoots found the 20 most popular names for each gender during the 1990s, and ranked them from least to most popular based on the total number of babies bearing the name from 1990 to 1999. While some of the names, like Emily and Daniel, remain popular today, there’s nothing stopping you from bringing back an old favorite. Download MooseRoots’ app on the Google Play Store for information on thousands of baby names. Ranking No. 20 among baby girls in the 1990s, the name Amber was much less common in 2014, holding the rank of 309. Defined as “victory,” the Latin and Romanian name Victoria ranked No. 19 among female newborns in the 1990s and held the same rank in 2014. Alexis, an English, Greek, Latin and Roman name meaning “man of God” and “to defend,” ranked No. 18 among girls in the 1990s, but had tumbled to No. 64 by 2014. The feminine form of Nicholas, Nicole is a French and English name that ranked No. 17 among female babies in the 1990s, but in 2014, it only held the rank of 129. A name of English origin, Jennifer was the 16th most popular name among baby girls in the 1990s, but ranked just No. 220 in 2014. Rachel, a Biblical name meaning “ewe” in Hebrew, has English and Jewish roots. It ranked No. 15 among girls in the 1990s, but fell to the rank of 155 in 2014. Stephanie was the 14th most common name among female newborns in the 1990s, but in 2014, it ranked No. 205. Though the English and French name Lauren ranked No. 13 among baby girls in the 1990s, it only held the rank of 94 in 2014. A form of Kayley, the Yiddish name Kayla was the 12th most popular name among girls in the 1990s, but in 2014, it declined to the rank of 102. Derived from the Hebrew name meaning “[God] has favoured me,” Hannah has English and Jewish roots. Landing the 11th most common name among girls in the 1990s, it ranked No. 28 in 2014. Megan, a Welsh version of the nickname for Meg, ranked No. 10 among newborn girls in the 1990s, but had plunged to the rank of 308 by 2014. Defined as “to cut,” the name Taylor ranked No. 9 among female babies in the 1990s, but it ranked only No. 77 in 2014. It was the eighth most prevalent name among girls in the 1990s, and the English and Swiss name Elizabeth was still very popular in 2014, ranking No. 14. Despite ranking No. 7 for baby girls in the 1990s, Brittany fell to the rank of 456 in 2014. Amanda, an English and Latin name meaning “lovable” and “to love,” ranked No. 6 among girls in the 1990s, but dropped to No. 314 in 2014. Defined as “bright,” “fame” and “famous,” the French, German, Germanic and Romanian name Robert ranked No. 20 among boys in the 1990s, but dropped to No. 61 in 2014. A name of Latin origin, Anthony means “flower,” and ranked No. 19 among male newborns in the 1990s. By 2014, it had fallen to the rank of 21. William, an English name meaning “desire,” “helmet,” “protection” and “will,” ranked No. 18 among baby boys in the 1990s. In 2014, however, it was the fifth most popular name. Justin ranked No. 17 among boys in the 1990s, but this English, French and Latin name ranked only No. 96 in 2014. A name of English origin, Samantha was the fifth most common name among female newborns in the 1990s, and in 2014 it ranked No. 33. Meaning “princess,” the English, Hebrew and Jewish name Sarah ranked No. 4 among girls in the 1990s, but tumbled to the rank of 50 in 2014. Although Zachary was the 16th most popular name in the 1990s, it only ranked No. 82 among male babies in 2014. A common name of English origin, Emily ranked No. 3 among baby girls in the 1990s and No. 7 in 2014. Ranking No. 15 among newborn boys in the 1990s, this English, Greek and Hebrew name fell slightly to the rank of 26 in 2014. Ryan, a name or Irish origin, was the 14th most common name among boys in the 1990s, but in 2014, it dropped to the rank of 37. It ranked No. 13 in the 1990s, but James, a name with English and Hebrew roots, surged to the ninth most popular spot among male newborns in 2014. Meaning “darling,” David, a name of English, French, Hebrew and Romanian origins, ranked No. 12 among baby boys in the 1990s. By 2014, it had fallen slightly to No. 18. Brandon means “broom,” “gorse” and “hill,” and while this English name ranked No. 11 among boys in the 1990s, it tumbled to the rank of 71 in 2014. 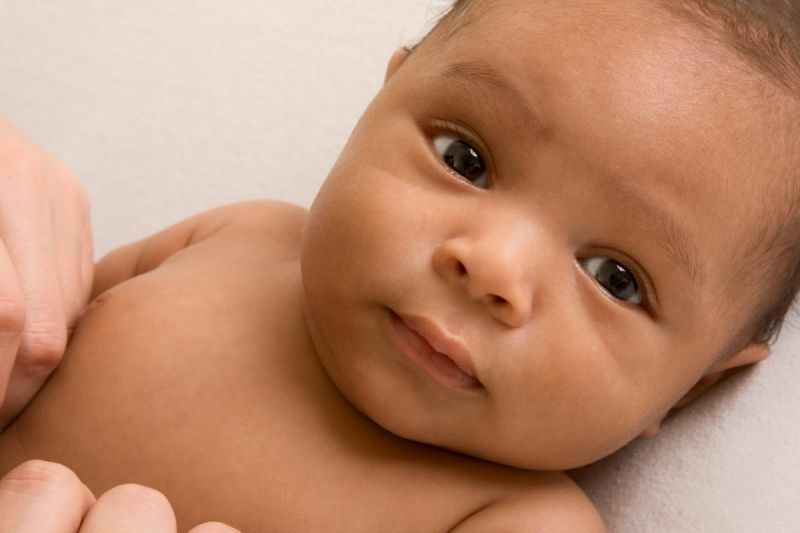 A name with English, French and Hebrew roots, Joseph was the 10th most popular name for male babies in the 1990s and was still common in 2014, ranking No. 20. Defined as “covering” and “tile,” Tyler reigned as the ninth most popular name among baby boys in the 1990s, but only ranked No. 72 in 2014. Daniel, an English, French, Hebrew, Jewish and Romanian name meaning “God is my judge,” ranked No. 8 among male newborns in the 1990s. By 2014, it had moved to the rank of 10. Andrew was the seventh most popular choice among boys in the 1990s, but in 2014, this English name meaning “man” and “warrior” only ranked No. 22. Meaning “people and victory,” the English name Nicholas ranked No. 6 among male babies in the 1990s, but by 2014, it had fallen to the rank of 57. The fifth most popular name among boys in the 1990s, Jacob was even more common in 2014, ranking No. 4. The English name Ashley, defined as “ash” and “wood,” ranked No. 2 among female babies in the 1990s. In 2014, however, it only ranked No. 87. Jessica was the most popular name among newborn girls in the 1990s, but by 2014, this English and Hebrew name had dropped to the rank of 179. Joshua, an English name meaning “God is my salvation” in Hebrew, ranked No. 4 among baby boys in the 1990s, but had tumbled to No. 25 by 2014. A name with English roots, Matthew means “gift of God,” and ranked No. 3 among male newborns in the 1990s, falling by 2014 to the rank of 16. Christopher was the second most common name among boys in the 1990s, but this English and Greek name meaning “Christ” only ranked No. 30 in 2014. The English form of the Biblical name meaning “Who is like God?” in Hebrew, Michael was the most popular choice among baby boys in the 1990s and ranked No. 7 in 2014.